Called the Rammer 9033, the new model replaces the highly successful Rammer 7013 and benefits from a number of key changes and improvements, many of which have been proven in smaller Rammer hammers. These customer-friendly improvements have been achieved by equipping the new Rammer 9033 with many of the key features recently applied to other models in the Rammer Large and Medium ranges. Weighing in at 15,432 lb. (7,000 kg), the new Rammer 9033 is suitable for carriers in the 134,400 to 268,800 lb. (60 to 120 tons) operating weight range. Impact rate on the long stroke setting rises from a maximum of 450 blows per minute to 520, while maximum oil flow rises to 121.5 gallons per minute (460 litres per minute) against the 105.6 gallons per minute (400 litres per minute) on the Rammer 7013. Input power is up from 152 to 185 hp (113 to 138 kW), a rise of 22 percent. Like the other models in Rammer's Large Range of hydraulic hammers, the new 9033 is designed for a long, trouble-free life. The new model utilizes long-life, high-tension VIDAT tie rods for improved reliability and lower operating costs. The tool-retaining pins are locked by simple, reliable rubber rings, while the surface of the lower tool bushing has been specifically designed to provide longer tool life, according to the manufacturer. The Rammer 9033 also becomes the latest (and final) model in the Rammer Large Range to benefit from the addition of the Ramvalve overflow protection system. The Ramvalve monitors the oil flow through the hammer. If the oil flow exceeds the pre-defined setting, the valve adjusts the flow to a very low level and drops the hammer's impact rate. The Ramvalve resets after the hammer re-starts with a correct oil flow. This highly effective system provides excellent protection against accidental overflowing and overpressure, enhances hammer's reliability, and offers improved protection against oil spills. To further extend the working life of the Rammer 9033 it is offered with three greasing options: a centralized manual option; carrier-mounted Ramlube I automatic greasing; or Ramlube II, which utilizes a cartridge mounted on the hammer to automatically deliver optimum levels of lubrication for greater wear protection and a longer service life. The new model also comes equipped with Rammer's Ramdata II service indicator that allows operators and service personnel to monitor and log vital service and maintenance information to further minimize downtime. 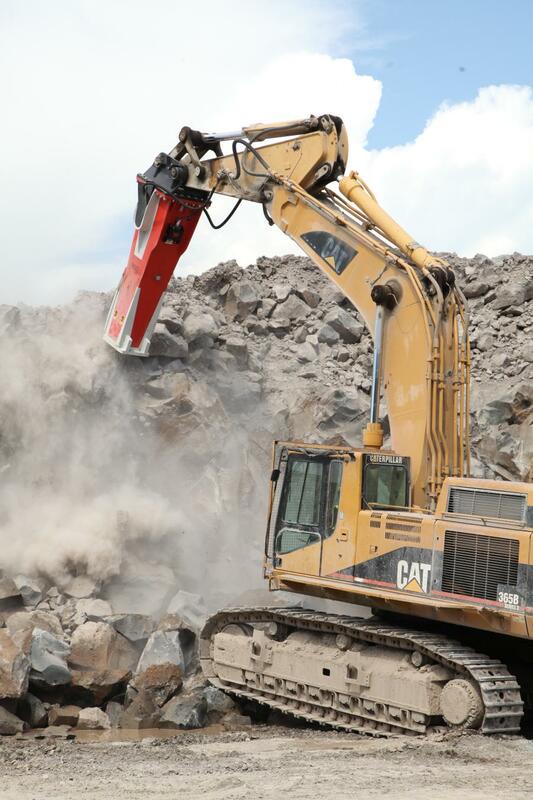 All these key features are backed by long-life, wear resistant, genuine Rammer parts that are readily available for the company's global dealer network.